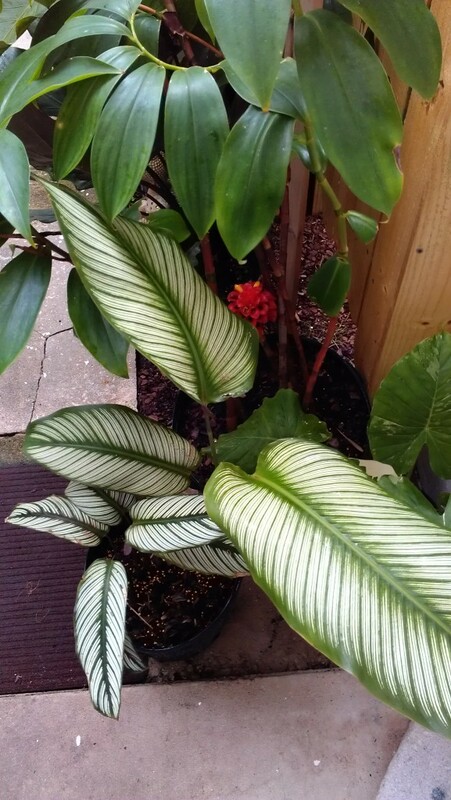 Calathea majestica showing off its hypnotizingly attractive leaves with purple undersides. 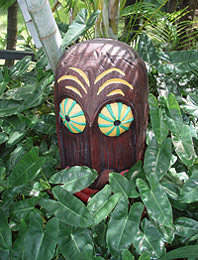 I recently saw a large clump of these at Disney World’s Polynesian Resort and they looked quite impressive. 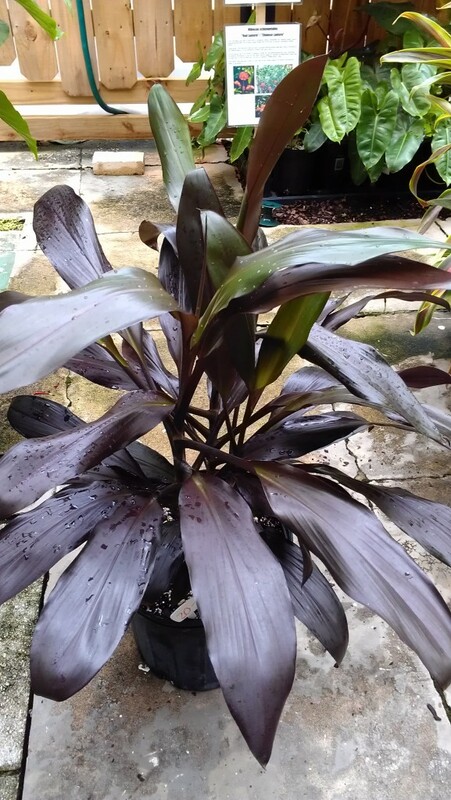 Here is an very unusual Hawaiian Ti Plant- Cordyline fruticosa ‘Carnuba Black’ – almost jet black strappy leaves. 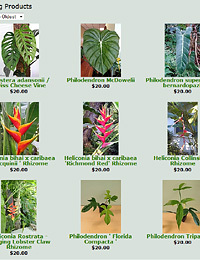 They look glossy black and care is like any other Ti plant. 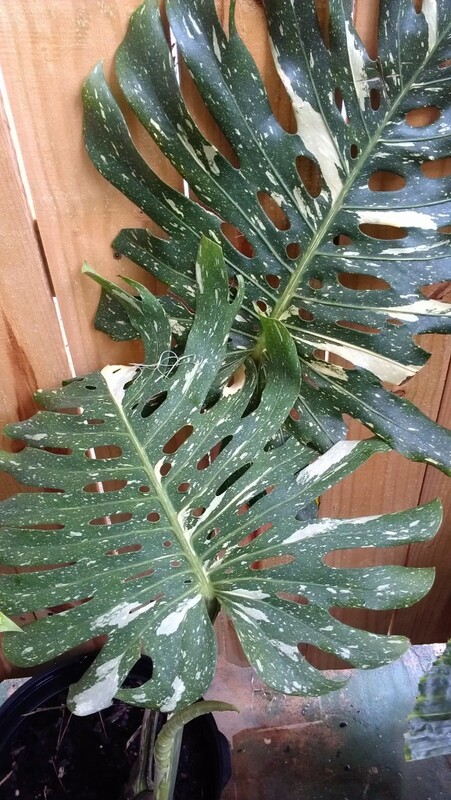 Here is an uncommon plant for the tropical collector- Monstera deliciosa ‘Albo maculata’ – this one shows a rare double form of variegation- both large variegated areas as well as “splatter” variegation. 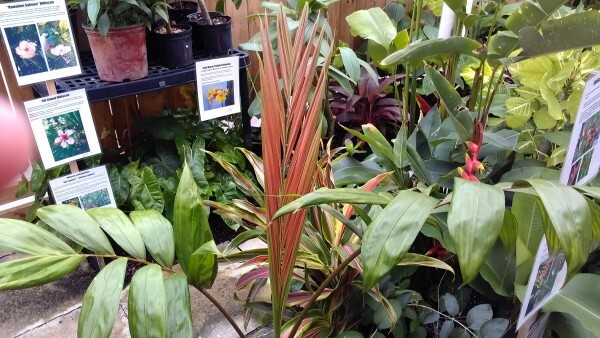 It is sometimes referred to as ‘Thai Constellation’ -in 7gal pot. 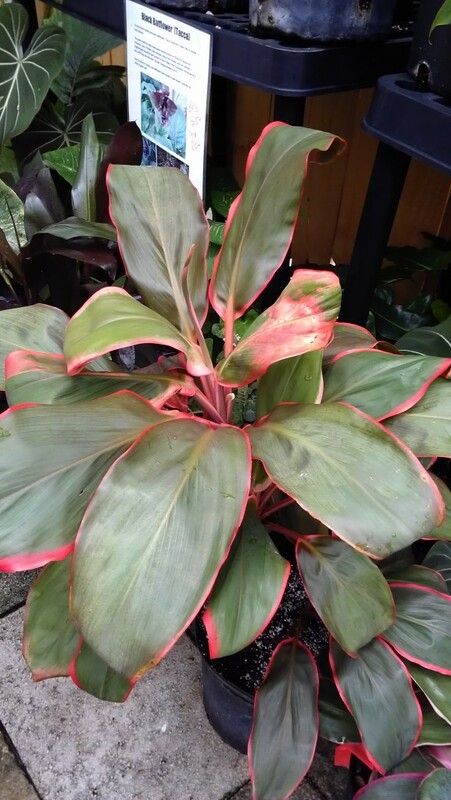 Another striking Hawaiian Ti Plant- this one is Cordyline fruticosa ‘Orange Slice” or ‘Orange King’ – a semi compact Ti with paddle like leaves, it really glows from afar with electric orange highlighting. 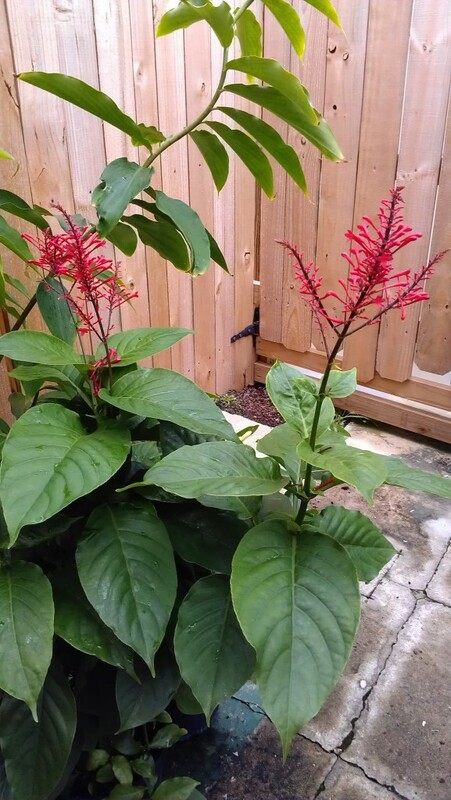 Here’s a great grower for our area – Odontonema strictum Red Firespike. Butterflies like this one and the red color can attract hummingbirds as well. 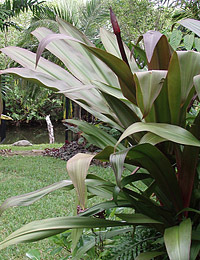 A bushy plant with fat deep green leaves, red flower spikes appear above the foliage in summer. 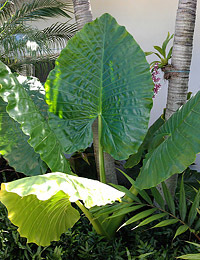 Can grow in bright partial sun to shade. Can be cut back easily. 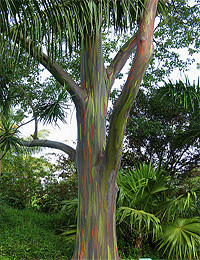 I’ve seen this one at Disney World as well and it can be very impressive.